The three days I have before touring around I am open for Idea's as to whether to have a meeting in London or whatever? Highly informal etc etc etc after all it is holiday time . I'll also be at Hayley's concert in Southend. I look forward to meeting you in Southend, if not before. I recently visited Lyme Regis myself and you will notice very little change from when you were a kid. It remains very traditional and charming. So you're all sorted and ready to fly so to speak! I have your London dates already pencilled in in my diary and am looking forward to meeting you at last. I am sure we will be able to arrange something - I'm always game for a day in London and I haven't been to the transport museum for years! Are there any Routemasters still knocking about over in New Zealand? We still have a few here. It seems a pity that you're traveling so far and will have to sit in the balcony. I'd call the box office every day to check for cancellations. I've done this and got upgraded many times. Sometimes even on the night of the concert better seats become available. Hi everyone,thanks for the welcome re my visit to the UK. Hi Larry,the main reason I chose the balcony is personal preference. I prefer elevated seating in a theatre or cinema,as I have had lousy positions if I sit in the stalls. I like to have a panoramic view and see everything that is going on, on stage. The last time I seen Hayley at the CH CH Town Hall I was upstairs and had a brilliant view,so that has always been my preferred seat. Hi Grant, as far as I am aware I don't think there are any routemaster buses here in NZ,but I could be wrong as I am not 100% sure. There are a number of doubledecker buses here in CH CH all of which are basically privately owned. The only genuine London Transport bus here is the one the English Commonwealth Games team brought out with them during the 1974 Games that were hosted here in CH CH. After which the bus was then donated to the city of CH CH and is available for special occasions charters and is kept and looked after by the Ferrymead trust at the historical park. I hadn't seen this bus on the road for quite sometime until just recently when it pulled up outside the Hornby club I belong to and it was used by one of the sections of the club for the evening. Hi Richard,thanks for the link to the transport museum, that is something I must try to get into,but looking at the site it looks as though it is only opened on certain dates so it may or may not be open but we shall see. Thanks for that Martin, I did notice that the last time I was in the UK back in believe it July 1982 and after a trip down there it was nice to see it almost unchanged and according to you, still the same. Lovely, just what I wanted I am looking forward to visiting that area again. The London Transport Museum in Covent Garden is open every day from 10:00am to 6:00pm except Fridays, when it opens at 11:00am. The museum is also open on selected Friday evenings, and the reserve collection at Acton is only open on certain days. It was great meeting you in Covent Garden, and I'm sure Grant, Gordon, Peter and Martin were very pleased to meet you too. 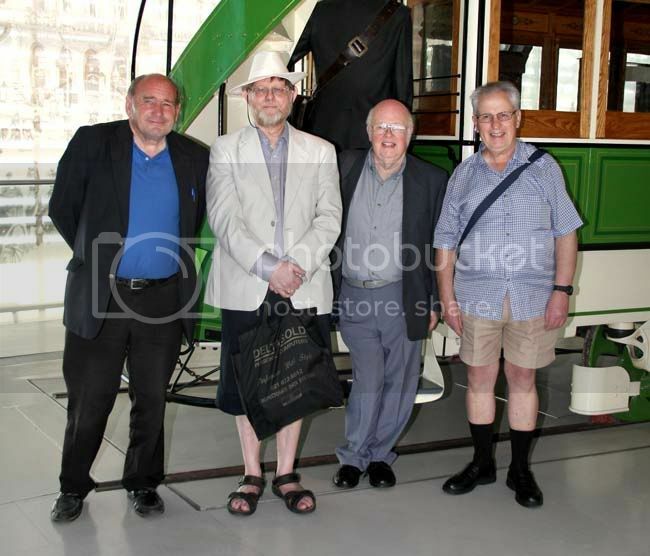 I hope you enjoyed the London Transport Museum and the Royal Opera House, and I can't wait to see Grant's photographs. Enjoy the rest of your stay in the UK, and we're all looking forward to seeing you again at Hayley's concert in Southend. As Richard has already mentioned, a small group of us made our way to London this morning to welcome New Zealand (Christchurch actually ) member Rodders to the UK. 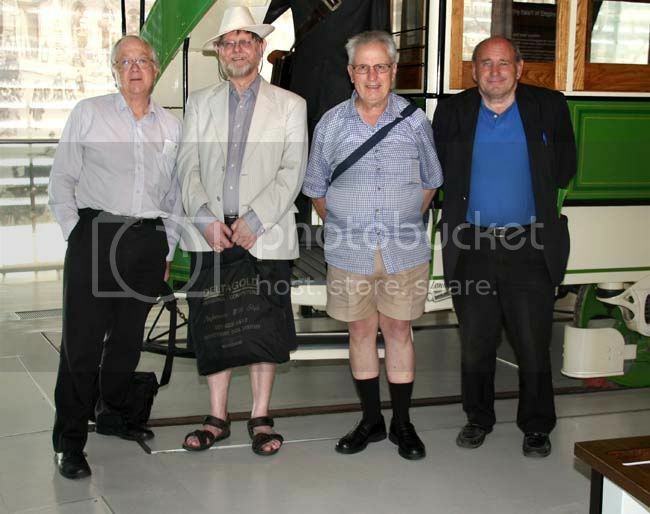 It was already scorching hot by the time I reached the transport museum where Rodders, Richard and Gordon were already in conversation. Peter joined us a few minutes later and after introductions all round, we ventured inside. It's years since I last visited although many of the exhibits remain unchanged. A new one for me was London Tramways horse tram 284, an 1881 knifeboard car built in New York in front of which our group posed. We spent a good two and a half hours in the museum and tried our hands at several of the interactive displays during which yours truly missed two station stops whilst trying to drive an underground train! We had arranged to meet Martin in the Punch and Judy pub at the opposite end of Covent Garden where we retired to the cellar bar for lunch and liquid refreshment. This was a good choice recommended by Richard although we did learn later that he had never been in the place before. Anyway, it was reasonably cool, fairly quiet and the food was good. Back on the street after lunch, we had a look in the Royal Opera House and took in some of the free entertainment on offer before going our separate ways. It was good to meet up with Rodders and learn a bit more about life in New Zealand on the way. Now we are all looking forward to meeting up again at Southend in a few weeks time. I will probably post a few more pics from our day in due course. 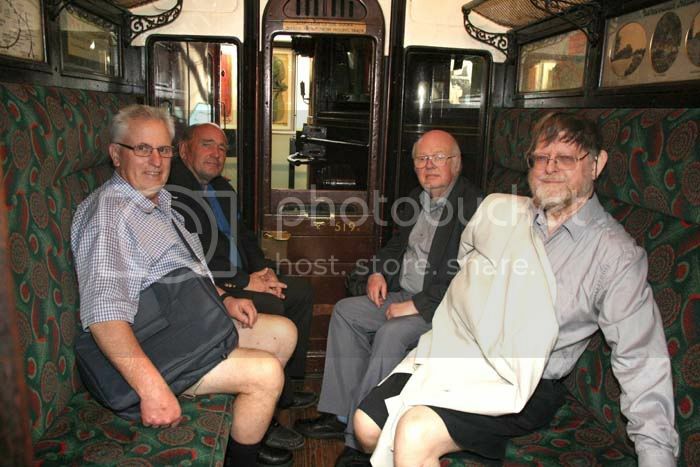 In the meantime, here are a few more of the group relaxing in a compartment of a Metropolitan Railway carriage. Welcome to England Rodders - I was hoping to be able to get down to London myself but in the end, couldn't make it. 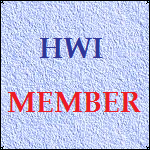 Still, it looks like you enjoyed a good HWI welcome in anycase. Thanks to Richard and Grant for your reports and to Grant for the photo's. Enjoy the rest of our stay Rodders and I hope to catch up with you soon. I'm so glad to know that you've arrived safe! 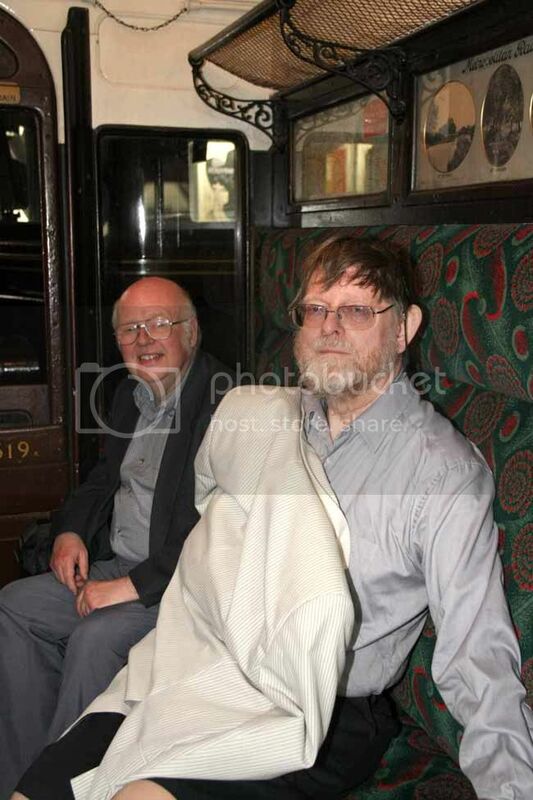 Looks like you and our fellow HWI'ers were enjoying themselves at the London Transport Museum. Very nice photos, Grant! Enjoy your coach tour...sounds terrific! Keep in touch if you can! Then the best is yet to come i21.photobucket.com/albums/b294/hdjoespics/EEjdKsU.gif at Southend-on-Sea ! It looks like we're going to have a grand time at Southend. I'm to be visiting from the states arriving on the 23rd. After Hayley's show in Southend I am traveling to Swansea for that show before I go to Dublin and hopefully catch up with Comet. It looks like it will be a busy trip. Hi everyone,wow what a start to my holidays,we had a brilliant day out yesterday which Grant has reported on and of course the photo's by Grant. Your weather is treating us visitors to some real summer stuff,London is such a nice place on a sunny day,it really stands up to the travel agents brocher that you see with sunshine days etc, they never show you what it's like when the weather turns sour (the same as NZ ) Today I will be having a look around my old stamping ground and other parts of London before I head off to Dorset for the next four nights. Super pictures, Grant, thank you. Good to have met with you Rodders and so glad you feel we gave you a good day. All the best for your future days here.